A few years ago, I received an email from a writer for Men’s Health. She was on a very tight timeline for a writing assignment, and needed a response to a common question, but unfortunately poorly understood topic by those seeking health and fat loss. Many readers often write in requesting a response on this. And I’m sure you have had the same questions as well, but haven’t quite figured out how to address it. The questions involve the mythical nature of the fat burn zone and the best programs to choose on the cardio machines. I’ve tackled these issues before, and was more than happy to do so again. Is there really a difference between the cardio/fat burning/manual settings on the cardio equipment machines such as the elliptical or tread climber? [Michael Stare, DPT, CSCS] Although it largely depends on the equipment manufacturer and model, these various settings are mostly just pre-programmed increases in resistance and/or speed. 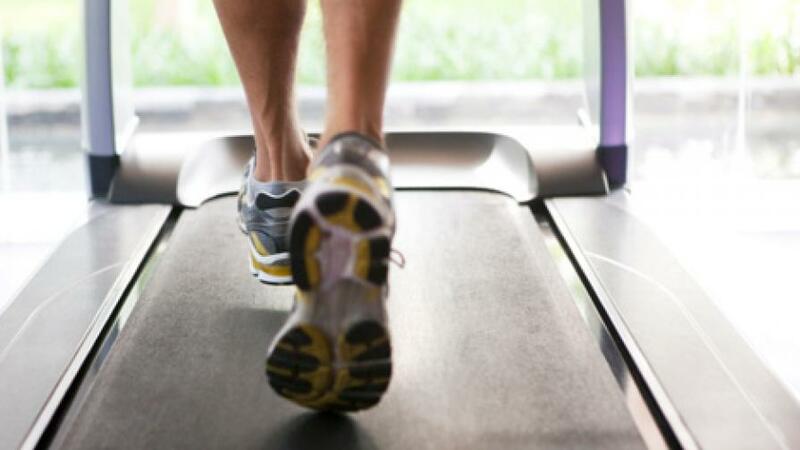 The “cardio” settings are often designed to facilitate steady state exercise, or exercising and a determined elevated heart rate level for the entire duration of the workout. The “fat burning” settings are often designed to keep your heart rate in a range demonstrated to promote a greater percentage of calories utilized (burned) from fat for fuel. Manufactures designing “fat burning” modes with this rationale must have heart rate monitors linked with their equipment, and your target heart rate is predicted solely based on your age. The manual settings allow you adjust intensity (resistance, speed, and inclination depending on the machine) at any level you choose at the beginning and during your workout. So yes, there is a difference, but it is not as well defined and scientific as one might think. If I want to get the most out of my work out, should I pick my own manual settings? Or should I press one of the “pre-programmed fat burning” buttons on the machine? [Michael Stare, DPT, CSCS] Pick your own manual settings. Many are tempted to pick predetermined settings, especially the ever seductive “fat burning” one. But there are several problems with this approach. Regardless of your goals, “cardio training” needs to be systematically progressed just like weight training. How comfortable would you be selecting a resistance training program called “strength” where the resistance, reps, and sets were pre-selected for you based only on your age and how long you wanted to workout? Obviously, the parameters pre-selected could be grossly inappropriate for you, as the huge variance in capabilities is not accounted for. “Cardio training” is no different. The manual settings give you control over the two most important things: individualization and progression. In addition, variables such as time, speed, or resistance need to be gradually progressed over time as your conditioning level changes. Learning how to manipulate these variables is best facilitated by having control via the manual setting. Finally, manual settings are most conducive for high intensity interval training, which has been shown to be a highly effective method for fat loss. [Michael Stare, DPT, CSCS] It doesn’t. The fabled “fat burn zone” is the by-product of misinterpreted research in the hands of fitness equipment salesmen. Research has revealed that individuals working at lower heart rate intensities utilized a greater percentage of fuel from oxidizing (burning) fat compared to other fuel sources, such as carbohydrate. So the implication arose that we can burn more fat by working out at lower intensities. However, many disregarded the key word percentage in interpreting these conclusions. While the research stated that a greater percentage of fat is burned at lower heart rates, what it did not say is that a greater amount of fat was burned as a result of performing exercise at lower intensities. Consider this financial hypothetical to grasp the difference. Which would you prefer, 2% ownership of IBM, or 98% ownership of the small mom and pop computer shack down the road? If you chose 2% of IBM, you would be far wealthier. Although you would have a smaller percentage of ownership, you would have a greater amount of money, because IBM has a vastly greater amount of assets. Similarly, although lower intensity exercise many burn a greater percentage of calories from fat, high intensity exercise burns significantly greater amount of calories, which will ultimately lead to more fat burned. As usual, common sense prevails in this case. You can’t burn more fat by working less hard. A greater percentage of calories are burned from fat while sitting down watching T.V. as well, so why doesn’t this count as fat loss exercise? Obviously, because it doesn’t work. As common sense would dictate, working out harder, at higher intensities results in more effective fat loss. This explains why high intensity interval training is so effective for fat loss, as evident from real world experience and several research articles on the topic. Consider also that it is not only about how many calories are burned from fat during exercise, but also after exercise that really matters for fat loss. The phenomenon of EPOC (excess post-exercise oxygen consumption), when the body continues to burn calories at an elevated rate for many hours post-exercise, is most significant with high intensity exercise. So when using these machines, forgo the allure of the fat burn zone and go after the high heart rates. Meanwhile, the fat burn setting will remain, as no equipment manufacturer wants the challenge of selling the only treadmill without the fat burn button to the uninformed.